Picked up our copy today! 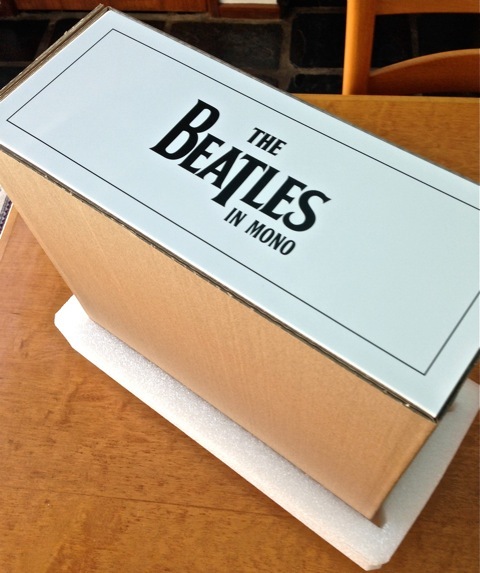 As you can see, The Beatles in Mono comes in a protective outer cardboard shipping box, similar to the one the Stereo LPs set was delivered in back in 2012. 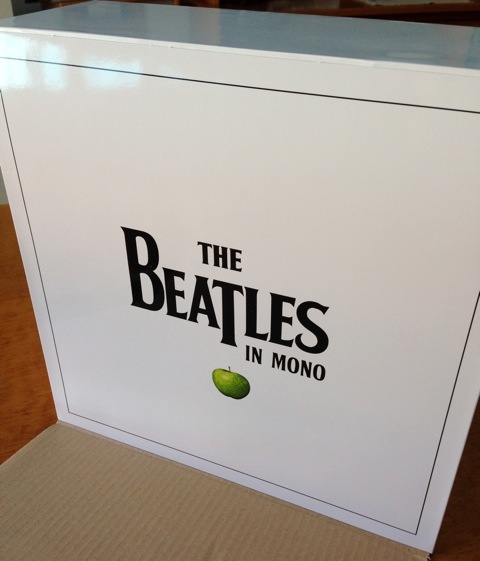 The sticker shows our Mono box was packed on June 18. 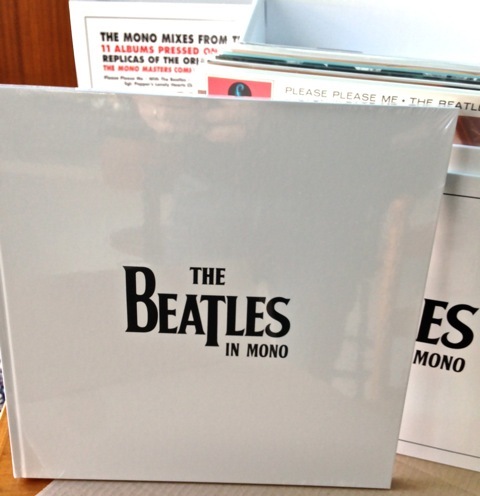 In Australia The Beatles in Mono was actually available in store from last Thursday (September 4). 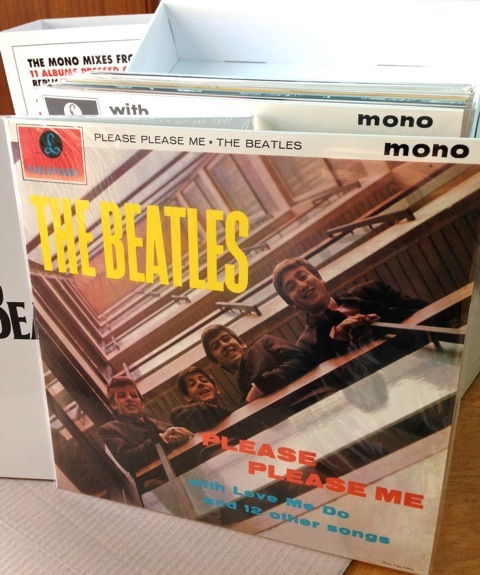 The reason for the delay in posting these photos is that we couldn’t physically get to the shop we’d ordered ours from (the fab Redeye Records in Sydney) until today….a frustrating four-day wait! 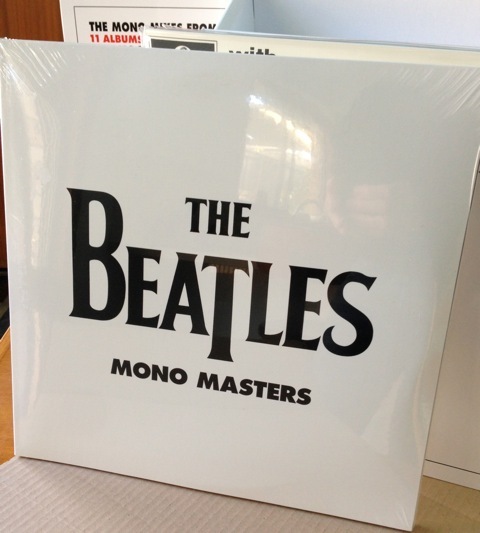 Each album (except the triple LP Mono Masters) is in a re-sealable clear plastic sleeve. 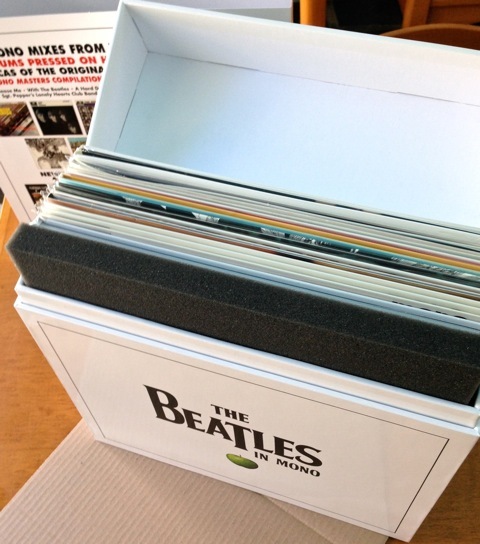 This is different to the Stereo box where each LP was in heat-shrink plastic which has to be cut open to get to the cover and the record inside. 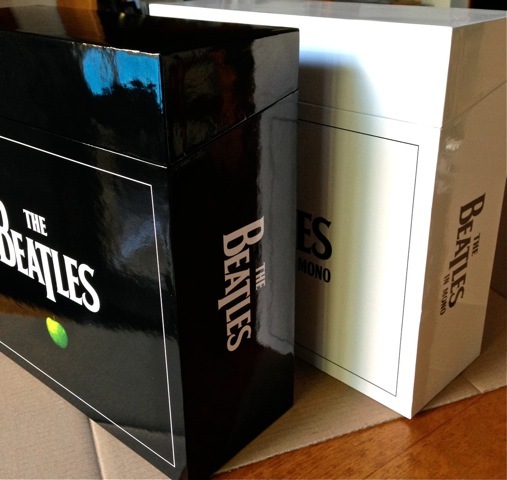 All printing and pressing of the box set is done by Optimal Media, based in the town of Robel in Germany. It has to be said that the quality and attention to detail is absolutely first-rate. 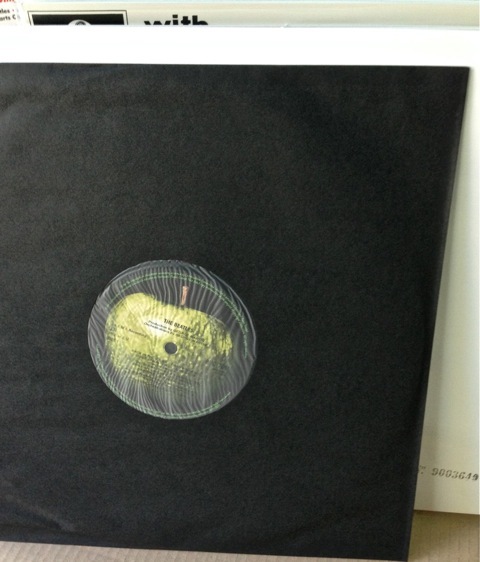 The cardboard used for the covers is thick, and the 180g vinyl feels chunky and solid in your hands. For a more in-depth review from a sound quality perspective have a look at this article from the audiophile magazine The Absolute Sound. 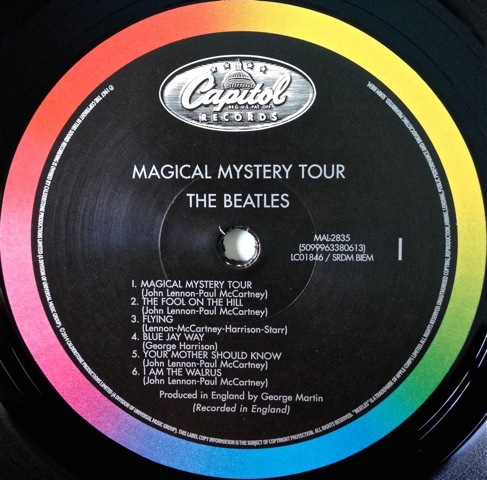 Reviewer Neil Gader steps through a listen to of each album. As he says, “Spoiler alert: Wow!”. There is also a great set of reviews of the sound at Analog Planet. 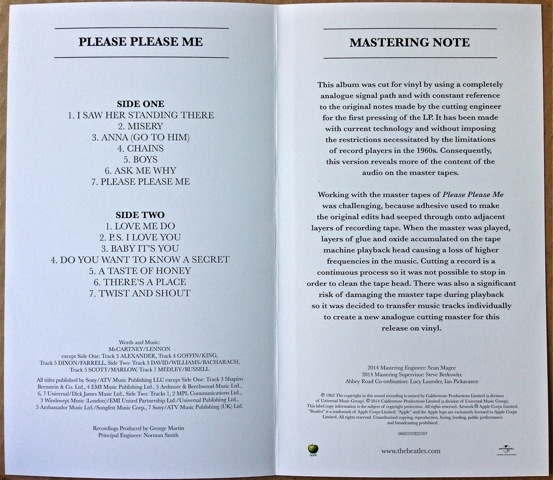 Apple Records, Universal Music and Mojo magazine hosted a once-in-a-lifetime gathering for a select few at Abbey Road in London last week. Not only did the lucky audience get to listen to tracks from the new records in-situ on a £300,000 sound system (that’s A$522,000! 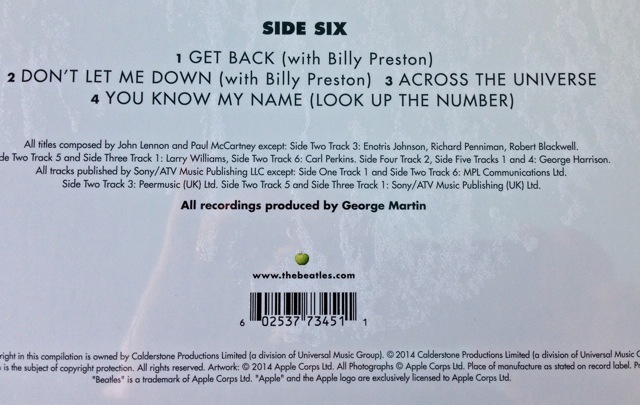 ), but also to hear a panel of distinguished guests discuss how the group recorded and mixed their songs. Read more here. 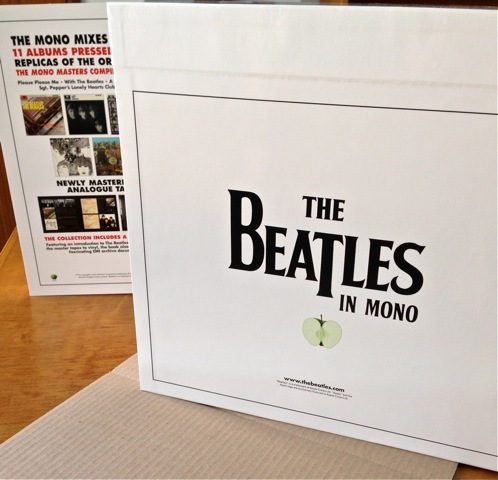 This entry was posted in Apple Records, Beatles, Beatles Collecting, Beatles Music and tagged Apple Records, Beatles, Beatles Collecting, Beatles in Mono, box set, Mono LPs, Music, Vinyl box set by beatlesblogger. Bookmark the permalink. 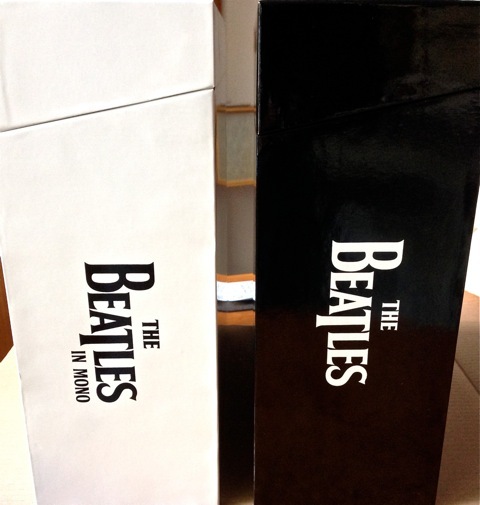 That exciting, the box set is truly beautiful. I can not wait for mine to dispatch and can have this in my hands. 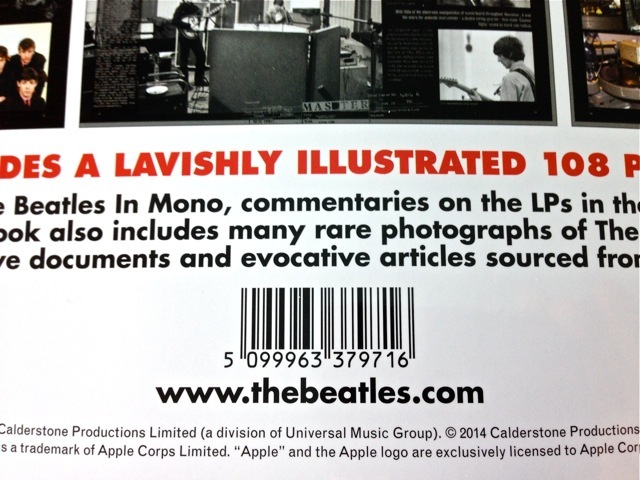 I bought mine on Amazon, and guess yours was purchased in the official TheBeatles.com website? 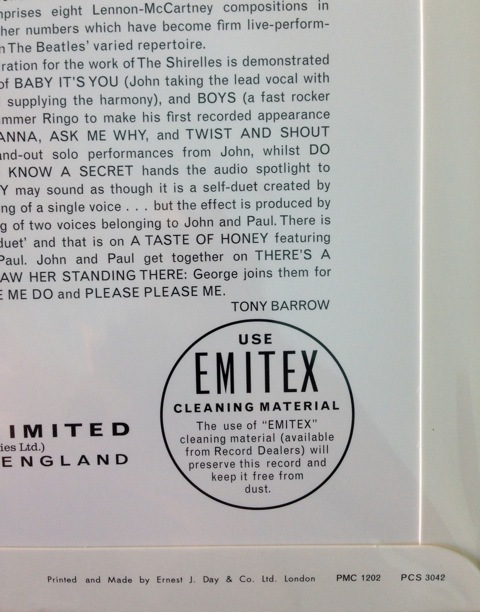 Hi, no we purchased this copy from a local independent record store in Sydney, Australia. Enjoy your set when it arrives! I appreciate all the detailed information but I would like to have seen at least a couple of the spines. Neither your pictures or Apple’s video presentation show any. And, alas, I won’t be buying the set myself. Hi BWB. Good point. 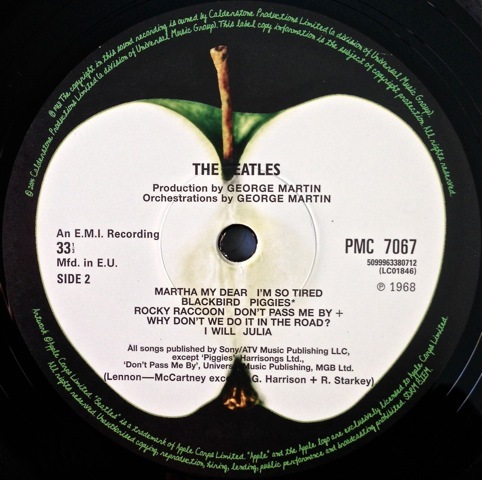 We’ve just added two images of the record spines for you. Let me know if you need anything else. Thanks very much. I always thought it interesting that Sgt. 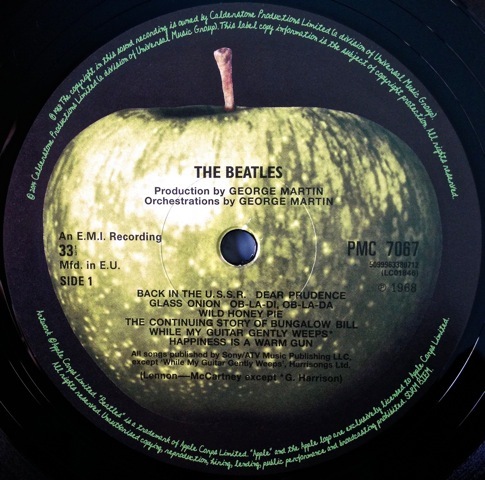 Peppers was the only spine to be printed upside-down (like British book pressings), and without The Beatles name included. Oh, wow – that is truly beautiful! 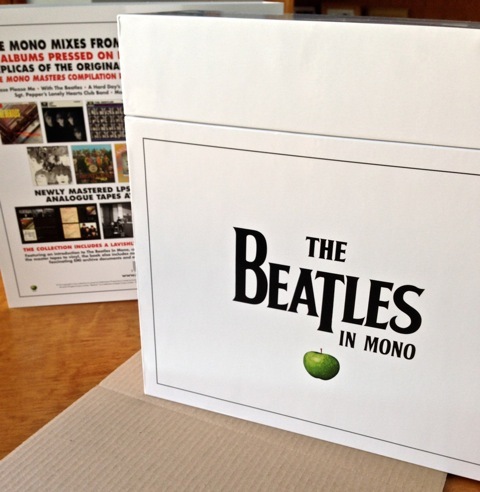 I wish I had a spare $100 (or is it $500, like the stereo box set at Clarity Records in Adelaide?)! 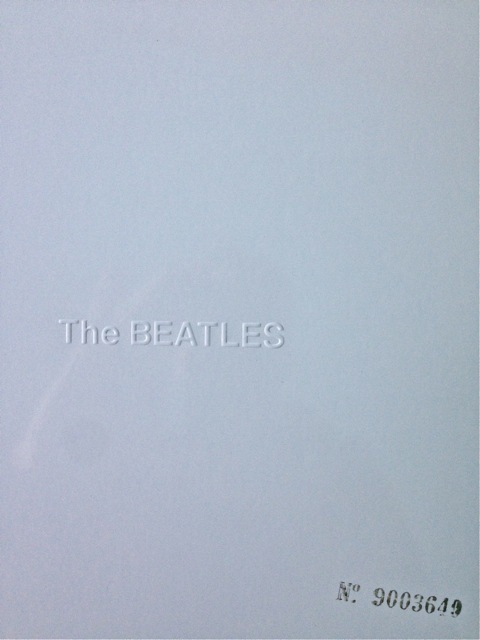 Though I do already have With The Beatles, Help! 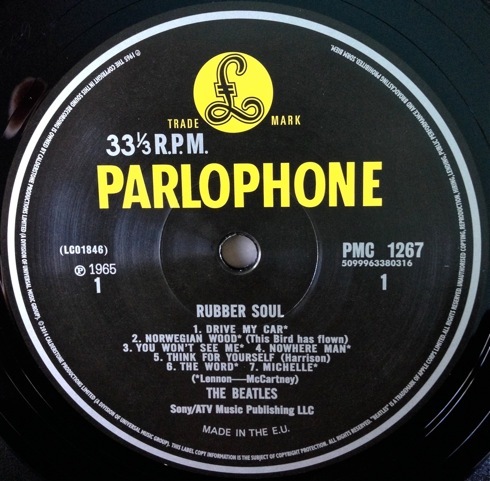 and Revolver in first-edition 1960s vinyl – British pressing, British pressing and Australian pressing respectively, all with original backflaps and the black-and-yellow Parlophone label. 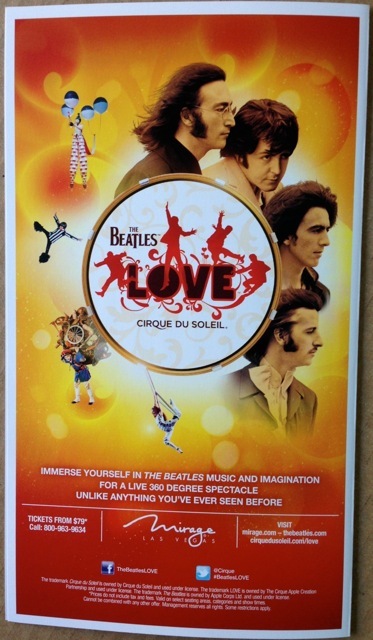 There are some images of the With The Beatles on my blog, I think. Hi, I just bought this and it’s great! 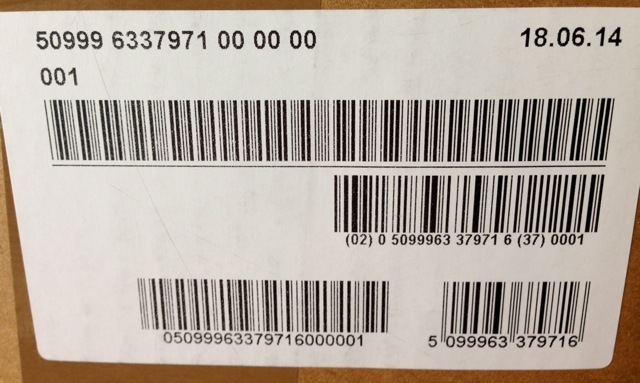 One minor question; on the back of the box it seems that the entire back is a sticker, like it can be peeled off? I don’t want to, though, until I know for sure. Thanks! 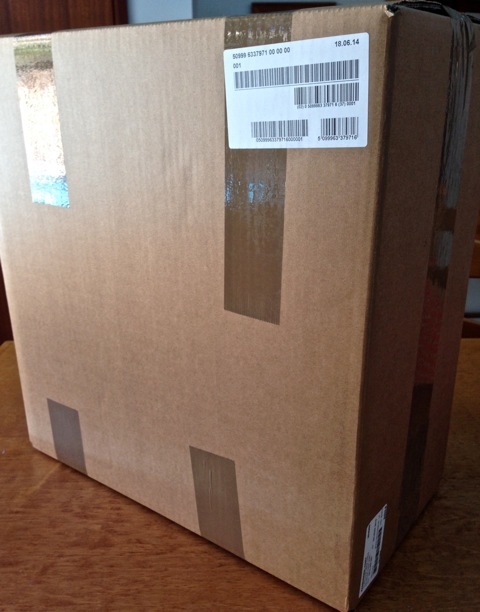 Hi, the box we have does not have a sticker on the back at all. So, you might have a faulty box which is peeling? Thanks for your reply. Just slightly on the corners, but nothing really bad. Hi there. 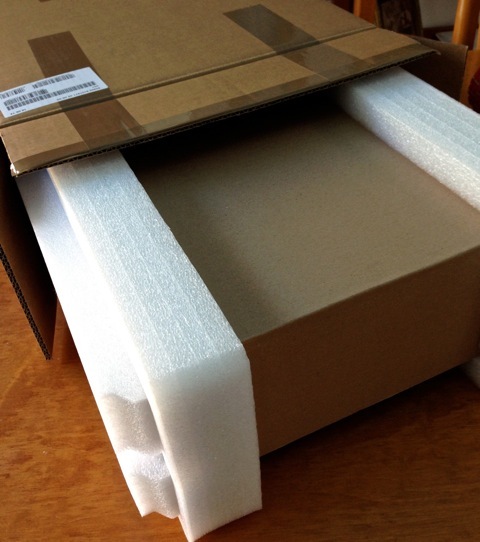 I clearly see in one photograph protective foam covering the top of the lp covers which fits under the lid box. 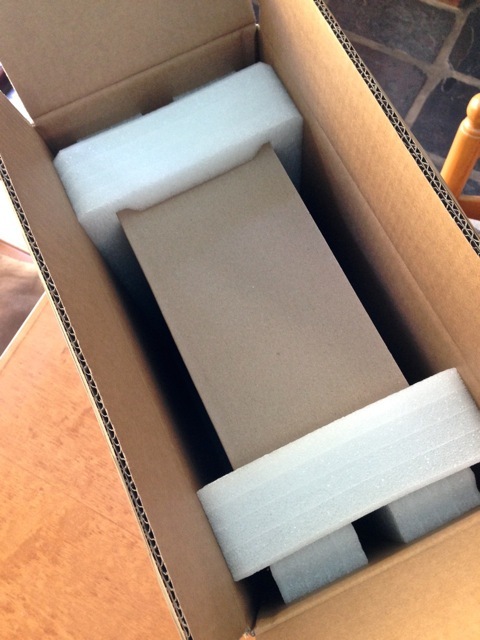 The only foam I got within my set was in the box itself between the front of the box and the book. There certainly needs to be some foam to prevent marking under the lid. 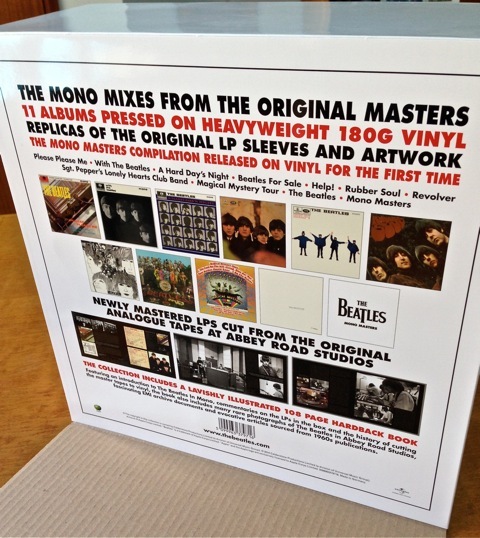 Can any other purchasers of this remarkable box set confirm they received additional foam within their set. Any suggestions as to where to obtain this additional protection? It is also apparent in this video of Michael Fremer from Analog Planet (at 2’25 in) opening up his set. Mind you, both theirs were review copies sent out very early in the piece so that they could have them in time to upload videos and to write reviews – so that may account for the missing foam…. Anyone else out there have the foam/no foam? I agree with Blue Meanie that it is extra protection. 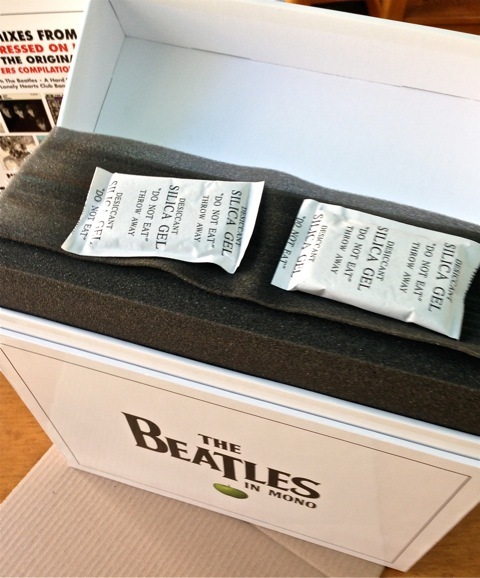 FYI our Stereo box set has the top foam padding as well. Did anyone notice the lack of looped voices at the end of the Sgt. 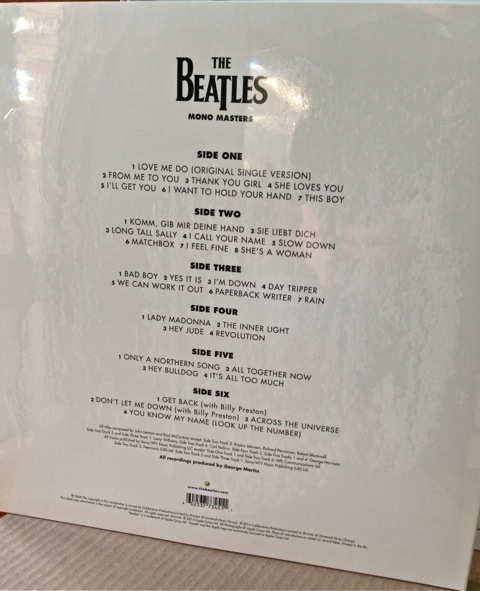 Pepper album, just after the final chord of “A Day in the Life”? 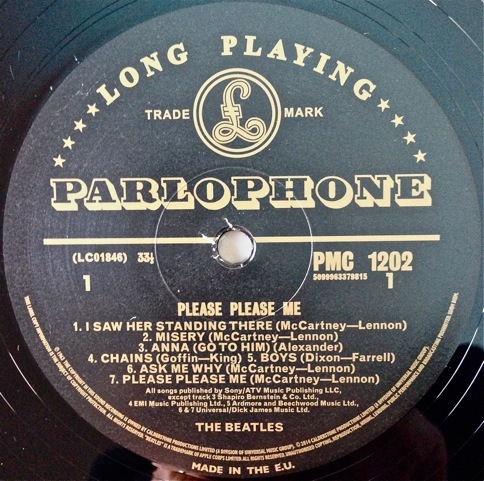 Is this missing on my pressing only? I’d like to know, what the hell happened with these voices, why it is missing on the 2014 mono pressing of Sgt. Pepper? 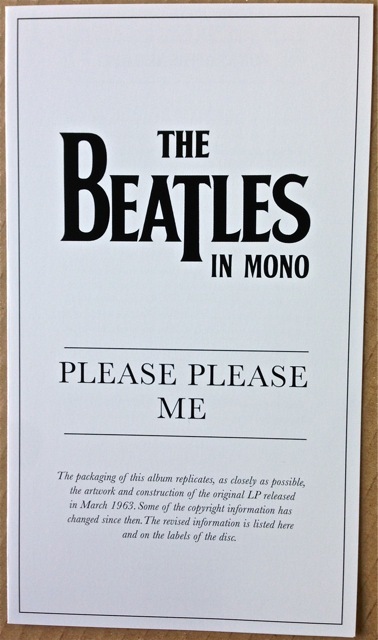 It was acclaimed to be an ideal replica of original mono pressing, so why someone deleted the final sound of this album?